My blue chip below has a number "1" in the center. 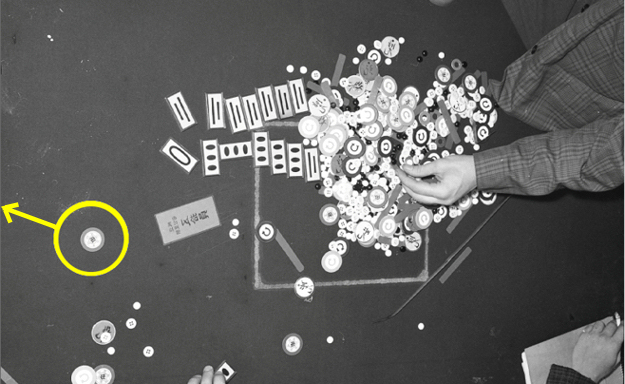 The chip to the right, which is a blow up from the wire photo (a larger size photo is shown further down this web page), has a number "5" in the center. However, both chips are clearly from the same place. The "5" chip was obtained by scanning the original 2x2 negative at 4800 dpi. 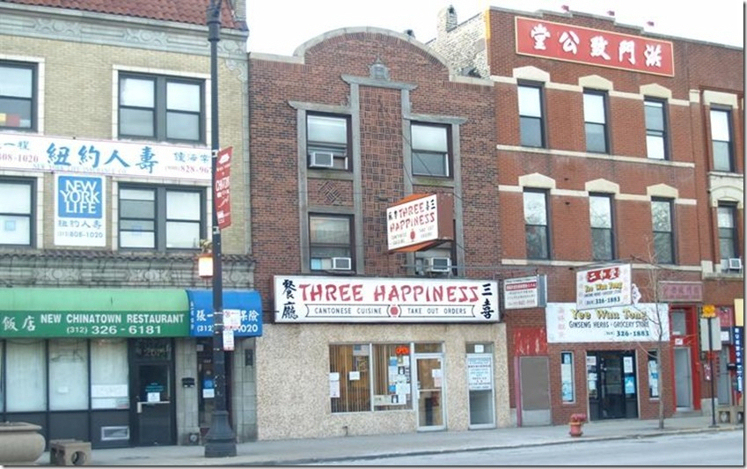 The picture below is of 209 W Cermak Road (circa 2012). 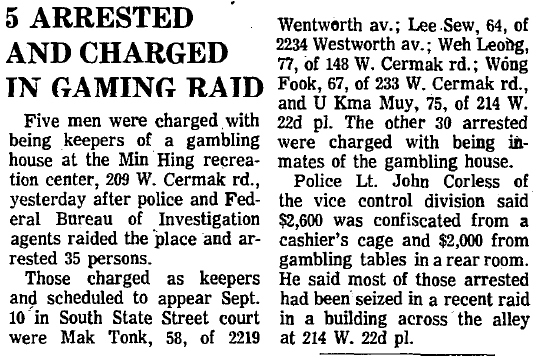 Gambling at 209 W Cermak was at the Min Hing Recreational Center. 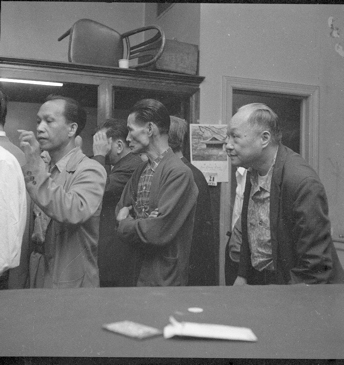 Wilson Moy, the unofficial Mayor of Chinatown, controlled gambling there. Keeping it in the family, cousin Gerald Moy was the "mayor" before Wilson and Frank prior to that. 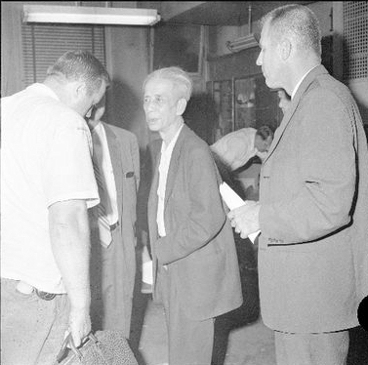 Lt John Corless, head of the Gambling Unit, questions group who were arrested in the 1964 raid of Fan Tan game at 209 W Cermak. 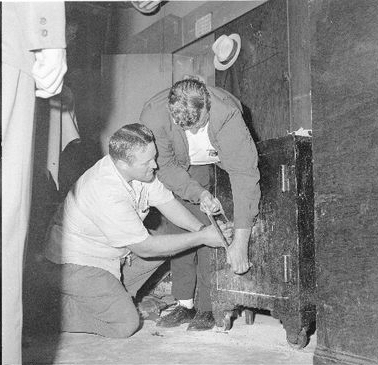 Wire photo from the Chicago Daily News dated August 22, 1964 of a raid on an illegal Chinese card room located on West Cermak Road in Chicago. The game being played is called Fan-Tan. The photo below is a scan of the original 2x2 negative and, in order to fit on this web page, is shown at only 10% of its original size. 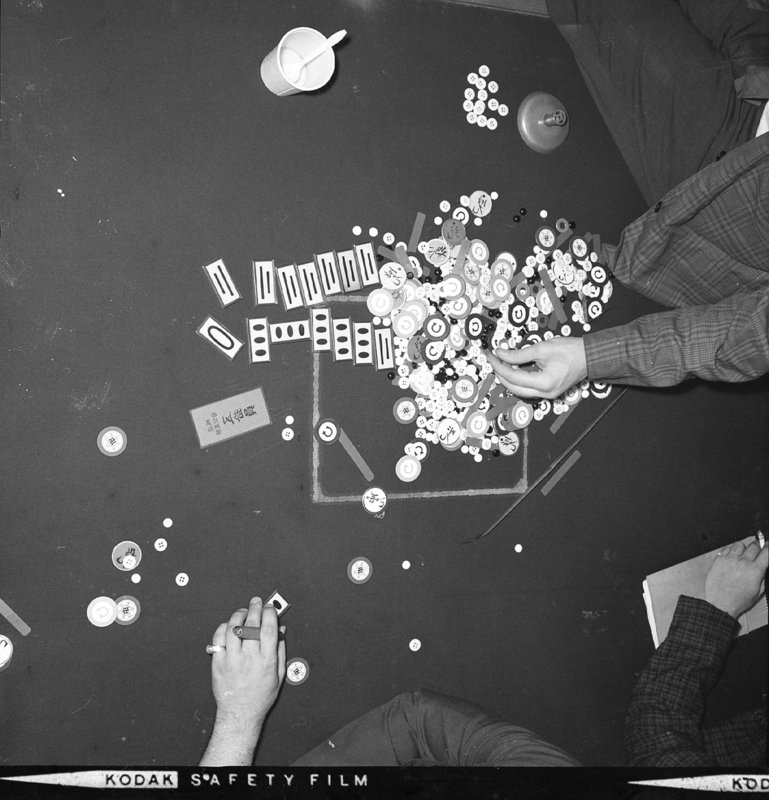 The "5" chip shown to the right of the "1" blue chip above was taken from the full size scan. That chip is the chip shown at the 9 0'clock position in the photo below. 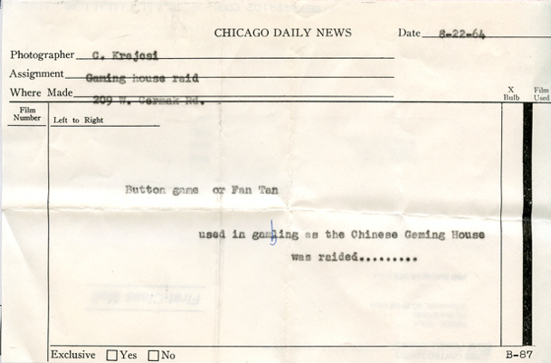 Below are several other wire photos from the 1964 raid at the Min Hing Recreation Center. 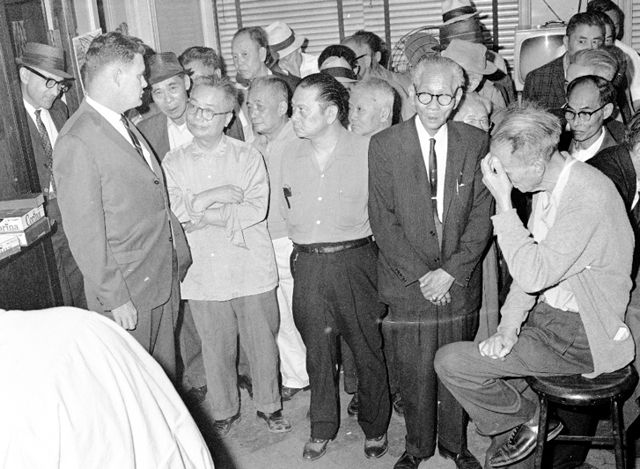 The fellow in the center of the first photo is the place's cashier and a "keeper", 67 year old Wong Fook.